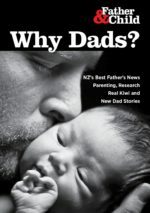 Father and Child Trust have been hosting events during the week before Fathers Day since 2010. This carries on the great work by Elaine Dyer and Violence Free Waitakere, when Waitakere really was the super city. Our week included a movie night watching ‘Leave No Trace’ at the Rialto in Newmarket, plus an ‘Week of Fathers Day’ evening with Bunnings Mt Wgtn, where we helped many children design a Fathers Day card for themselves. On Wednesday we made mussel fritters for our Testimony night then shared stories of how we found Father and Child, what we needed and how we got it. Franc Hicks expressed how he was unaware of how the court system worked, what a good lawyer was like and how his relationship had deteriorated when they had children. He said the best things about the Fathers Mauri Ora Circle is that he listened to several other dads or support workers who all contributed to his strategy. He has been successful in winning back 50-50 shared care of his children and now helps others negotiate the court process, especially if they are self representing. 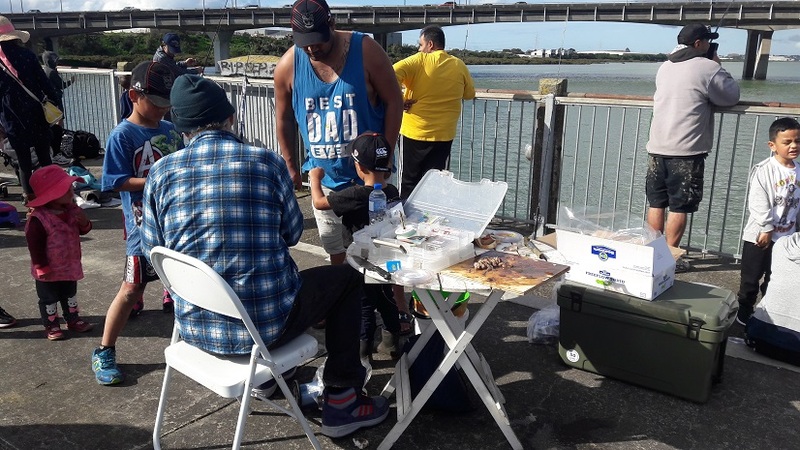 Our Fathers day celebrations started at the Onehunga Community Centre, but in 2013, the dads themselves decided to try Ambury Farm/Park, getting around 80 including children and organising things as they went along. Team work was important and volunteers mucked in, every child had fun and was fed. Weather permitting, this event has grown and especially last year, was very well attended. Over 200 joined in with the bouncy castle, music and food, some kids had the most fun in the mud. 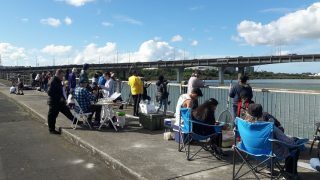 Three years ago, we started Fishing Off Mangere Bridge, on the Saturday before fathers day. It was a slightly windy, cool day, around 20 of us had free bait and food, but no fish were caught. Two years ago, three children caught their first fish on the Mangere Bridge Saturday and we all celebrated. This year with a 2.30pm high tide, we offered free fishing and gave out 9 rods/reels, many hand lines, lots of tackle and plenty of bait. Again, we were lucky to have volunteers Nikora Davis, Luis Gustavo and Miro Brkn, cooking sausages, helping make hand lines, Brett Goodchild ran up and purchased more hand lines. No fish were caught but nearly a hundred children learned about fishing, some built their own lines. Over a hundred children with parents learnt or tried fishing for their first time. Lots of Vitamin D and community was shared, the Red Guard Guys approved, and Father and Child Trust really appreciated the donations from Let Them Fish, a great charity who gave us the rods/reels, tackle and lines, plus to Brass Monkey Ice who donated free Bait and Ice. Our Sunday – Fathers Day at Ambury Farm was subject to some Auckland’s most interesting weather. How does it go, welcome to Auckland, if you don’t like the weather, wait ten minutes! Quite a few families braved the forecast and made their way around the park during the intermittent sunshine. Once again we were lucky to have Mark and Mary-Alice Thomas, helping sort the Information Kiosk as our base, safer from the wind and showers. 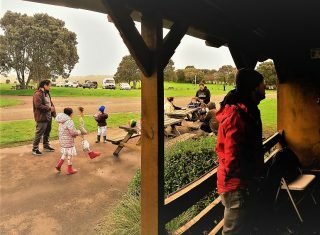 We wouldn’t let a little rain ruin our fathers Day, we all had fun, chocolates or food and huddled together by the Barbeque to stay dry! Huge thanks to Paul Catton for his generosity, lamb chops and good humor, plus to Luis Gustavos for a whole week of helping and cooking!